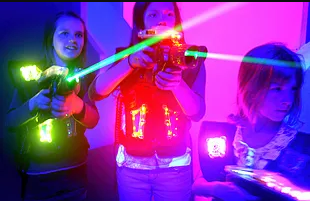 Planet Laser in Bury St Edmunds boasts one of the UK's biggest laser tag arenas. The multi level arena spans 6000 sq ft and uses the latest Helios Pro Laser Tag System with 30 players. It's a great way to have fun and is available for anyone aged 6 and above. As well as laser tag, you can entertain yourselves with the mini bowling lanes and the latest in arcade machines. It’s a world of fun without even stepping foot in the laser arena. After a mega gaming session, there's Cafe Lunar where you can refresh and refuel, or treat yourself to downtime while the kids release some energy. They also have a licensed bar with a range of bottled beers, wine and cider. Check their website for the latest Summer Holiday deals. 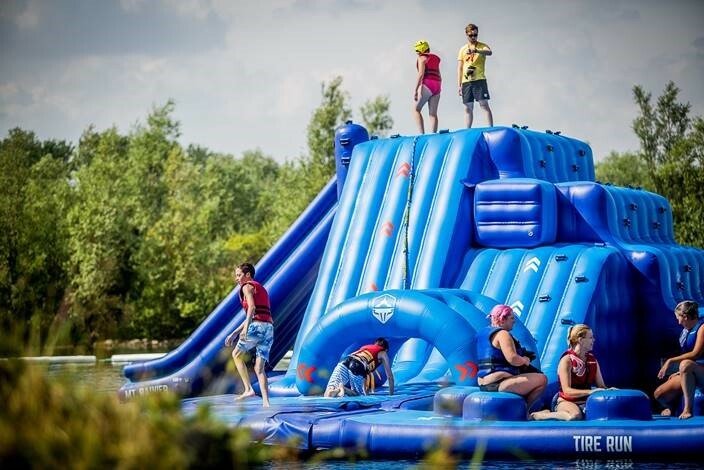 Enjoy an incredible family experience at the brand new Aqua Park in Cambridgeshire for all ages 6 and over. It's the biggest aqua park in the area, large enough to comfortably host over 70 guests per session and provide a safe and fun environment for all ages. We advise to pre book to guarantee your place and to avoid disappointment. Help support the work of the Arthur Rank Hospice Charity by hosting your own Tea at Three. You can host your tea at three at any time of the year! Decide on a date, time and location. There are so many ways you can do a Tea at Three for example you could host an afternoon tea, you could have a tea/coffee break with work colleagues or invite friends around for a G&T! Invite your friends, family, work colleagues or customers to take part. You supply the tea and cake and they make a donation. Have fun …You could even incorporate some games or have a raffle or tombola. If you would like anymore information or to let Arthur Rank know about your Tea at Three please contact them on 01223 675 888 or email fundraising@arhc.org.uk. Make your day out one to remember by visiting WildTracks the destination for fun. With tons of ways to save with our summer deals to be enjoyed with friends and family, including our newly released day pass that includes, karting, quads, archery a 4x4 ride and delicious food for a very affordable price. So if you are bored of doing the same old plans for summer and want something that pumps up your adrenaline and makes you leave with a smile and a memory to share with friends then WildTracks is definitely for you. With have activities for all the family starting at 8 years and above. 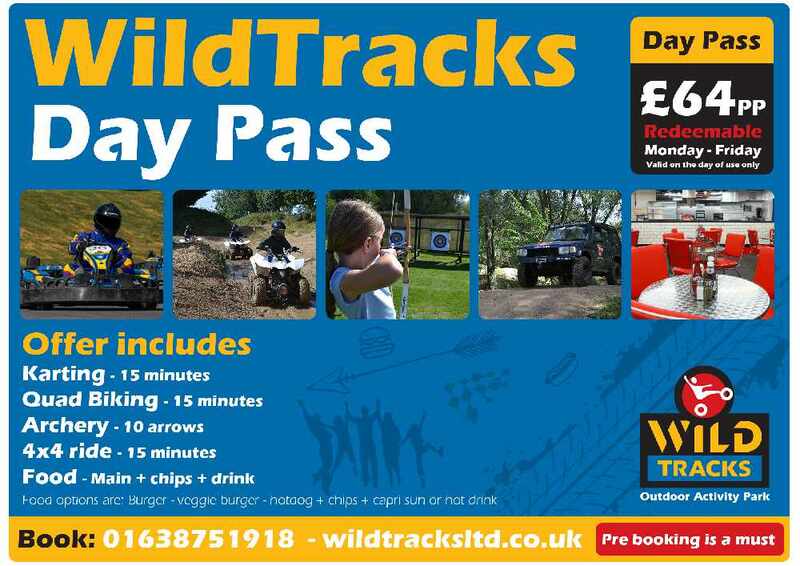 Visit wildtracksltd.co.uk to view all summer deals.